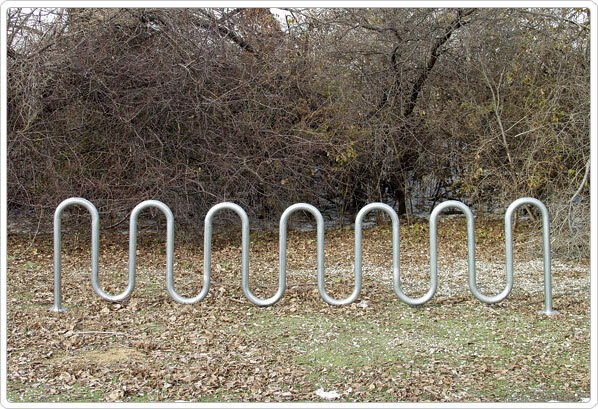 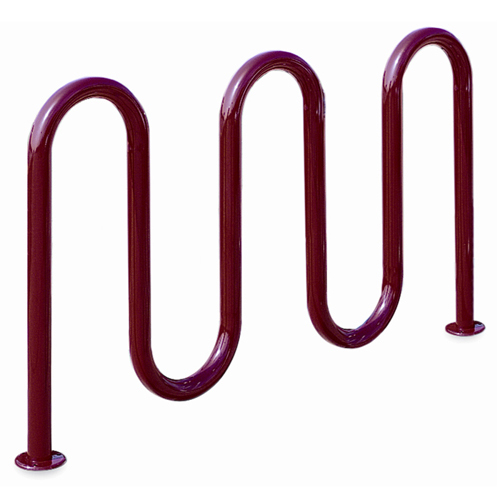 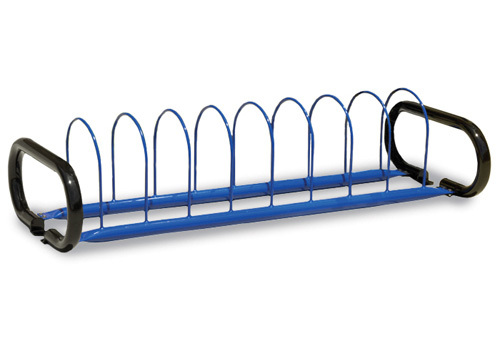 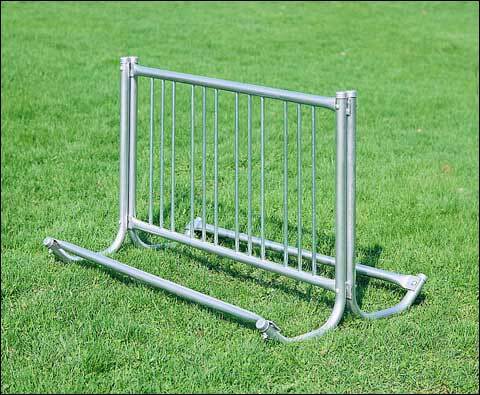 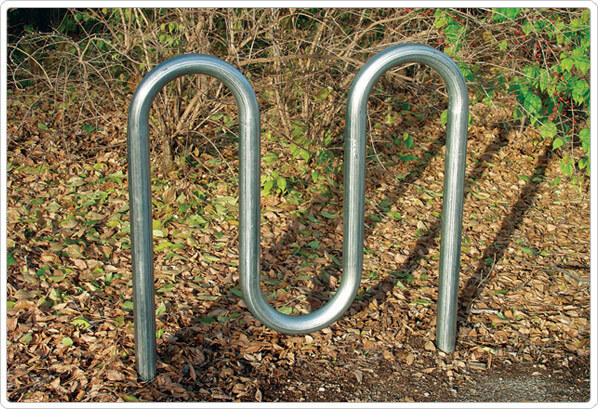 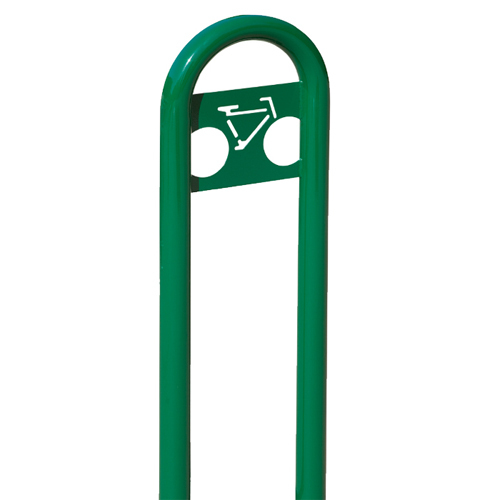 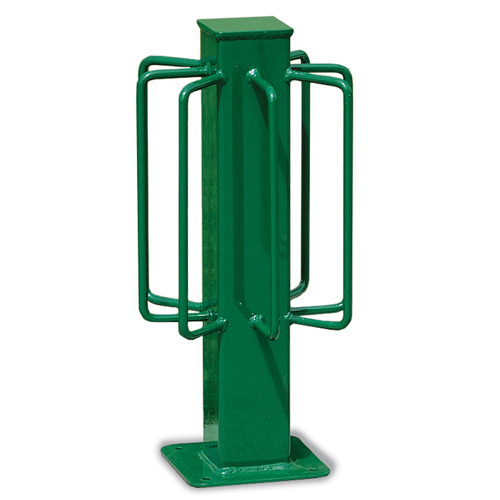 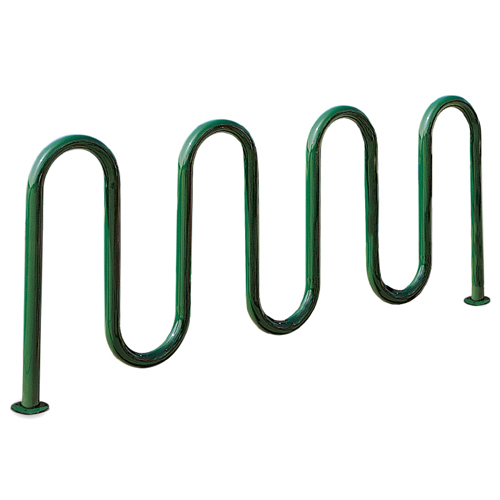 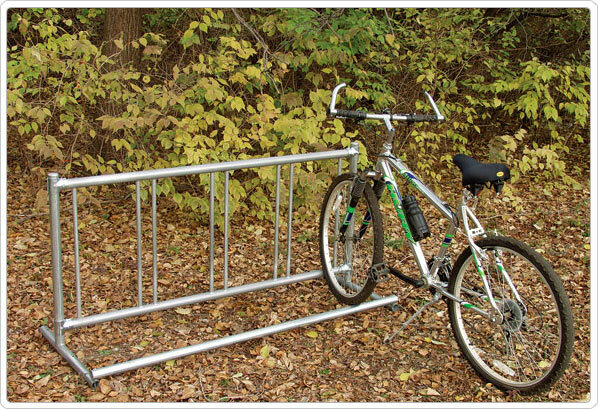 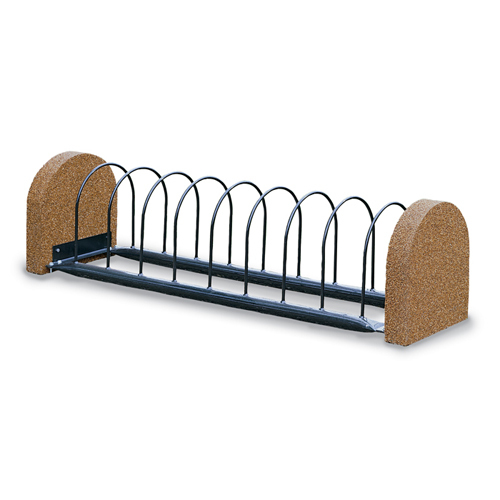 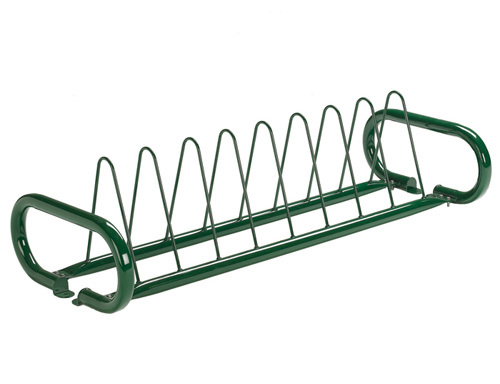 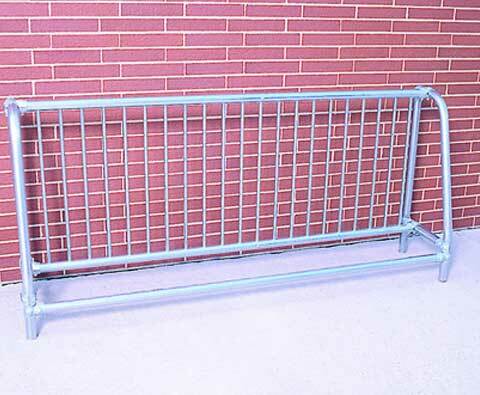 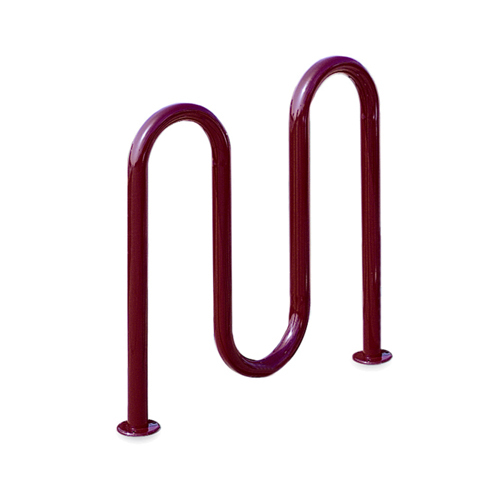 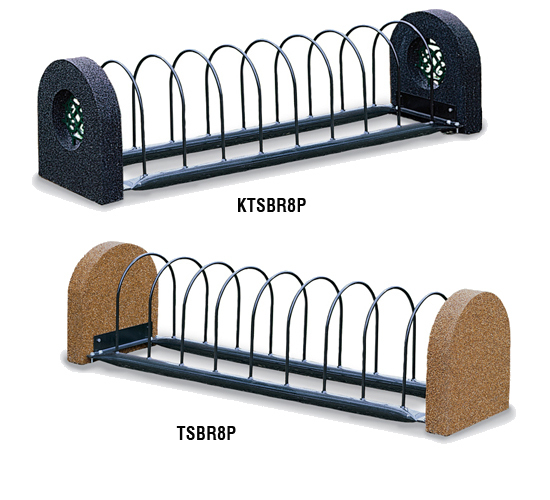 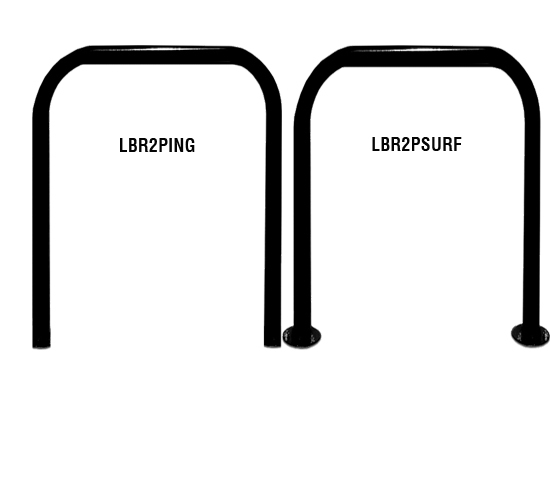 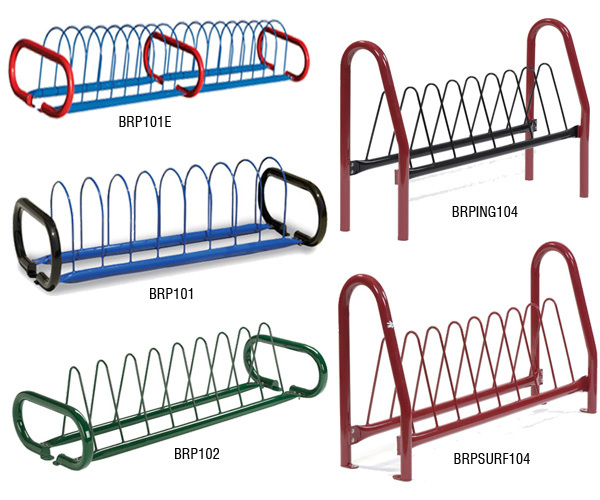 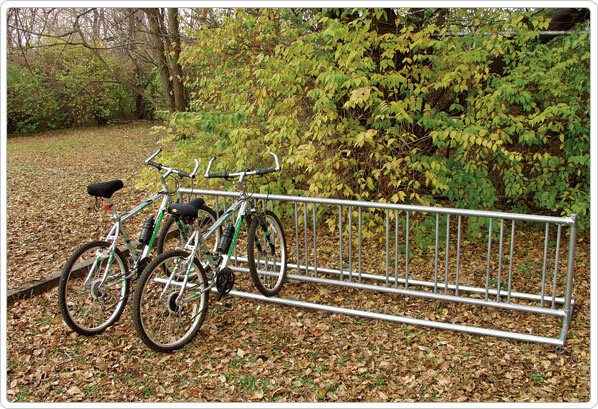 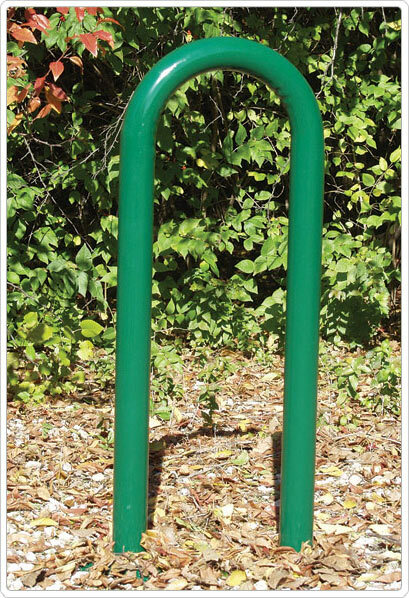 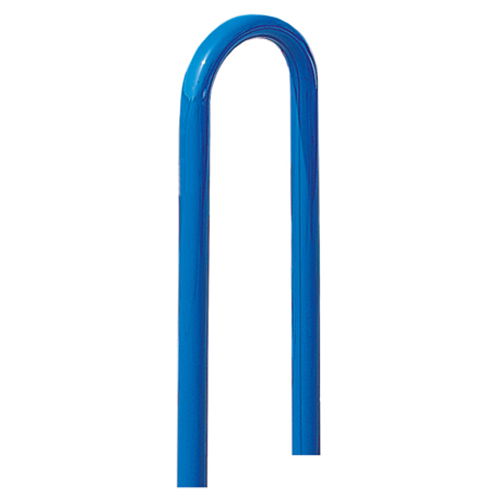 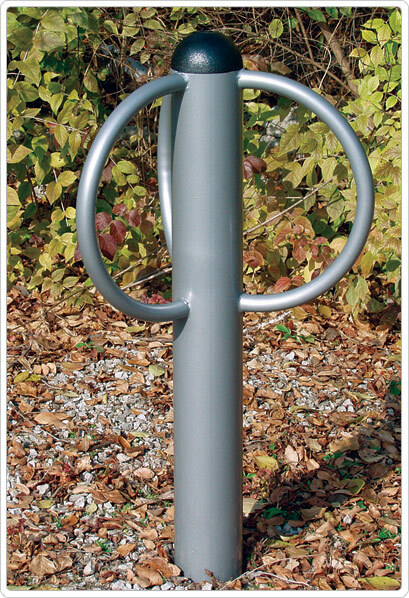 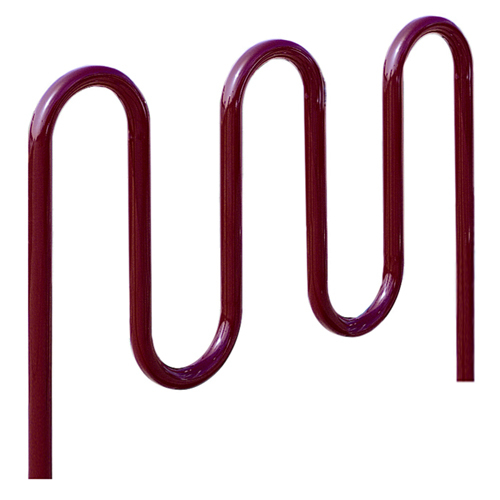 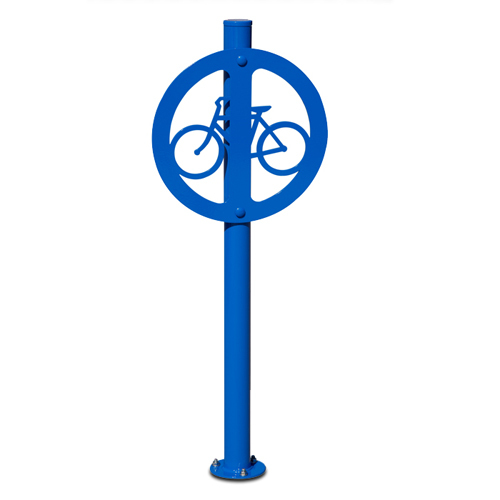 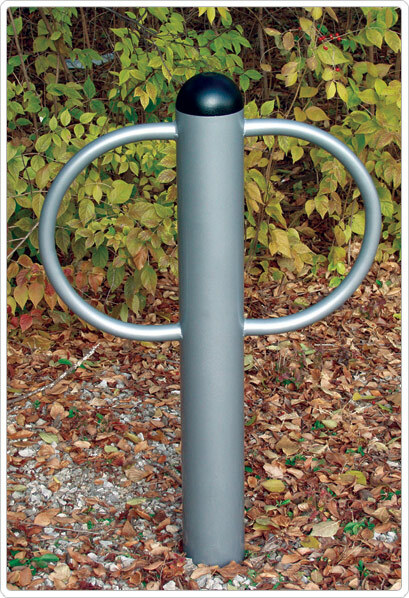 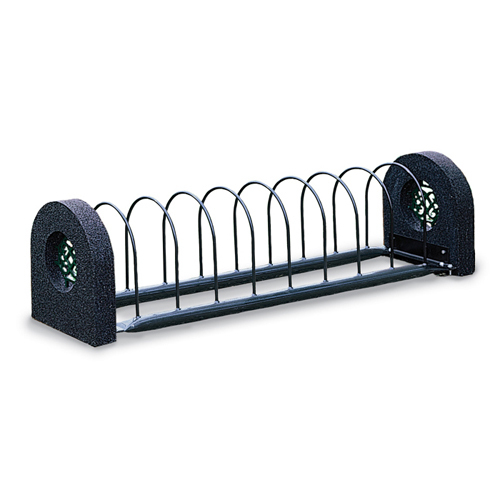 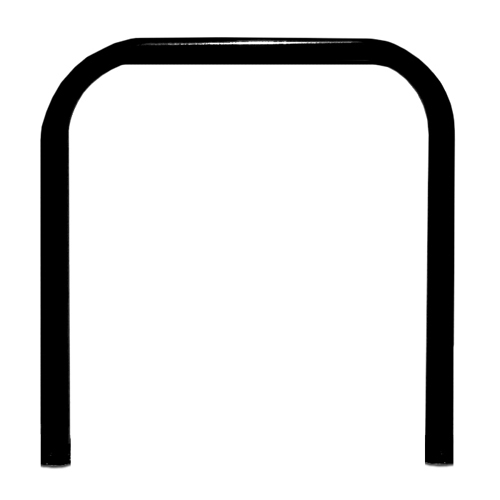 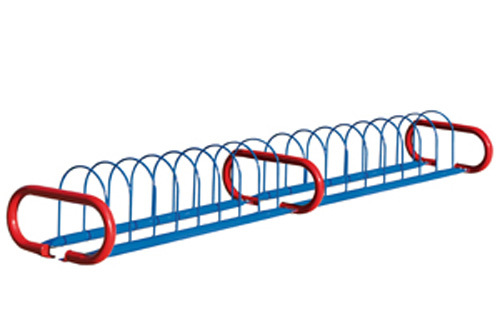 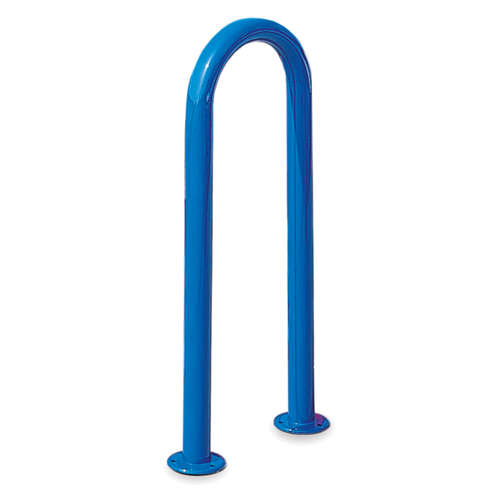 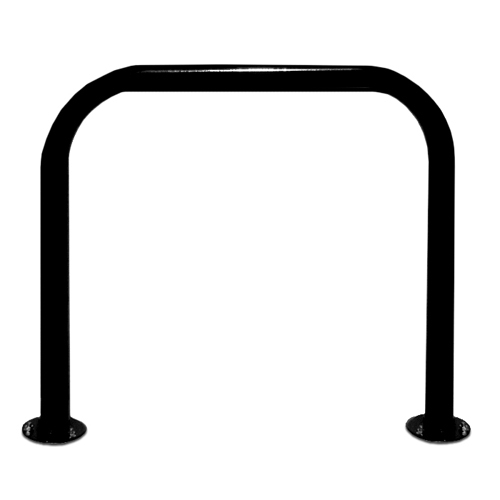 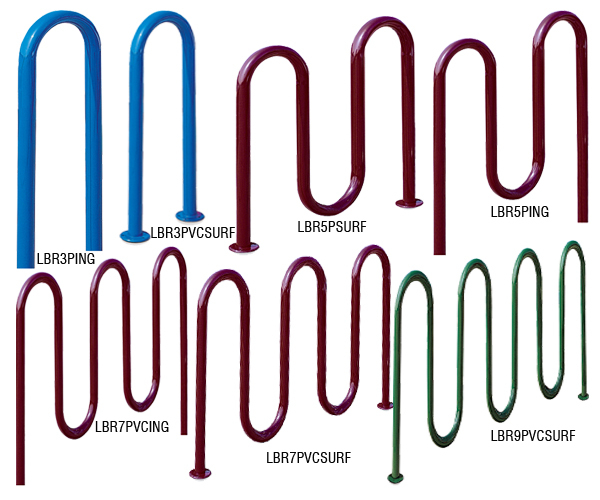 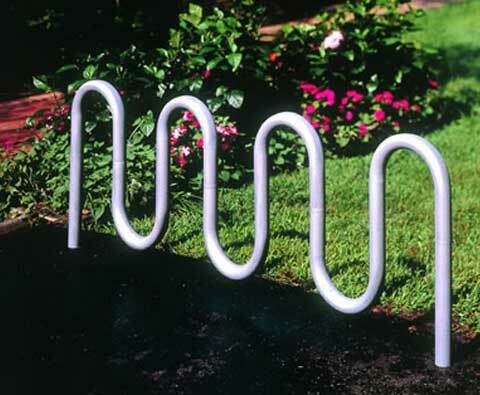 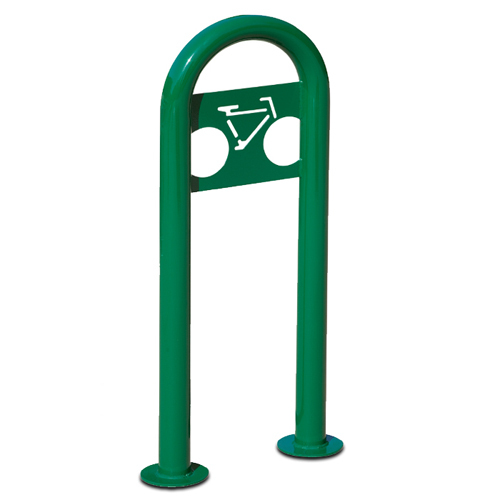 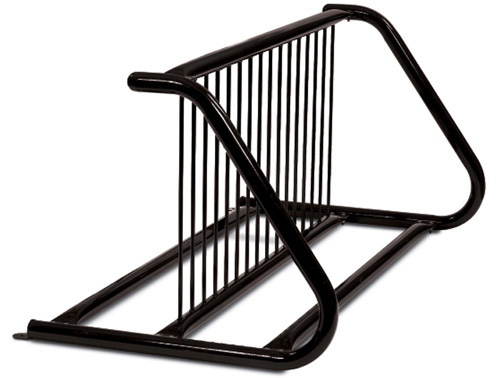 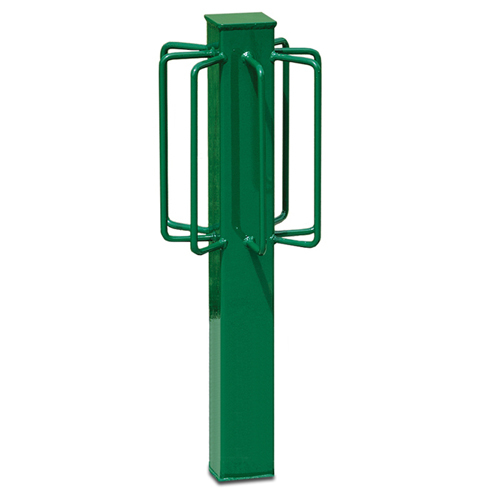 This " N" bike rack is available in galvanized only. 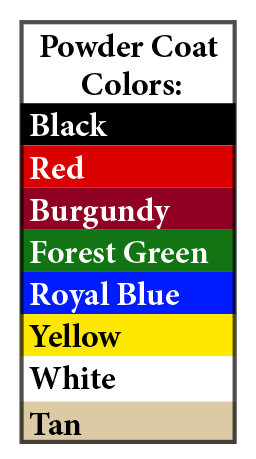 Painted option no longer available. 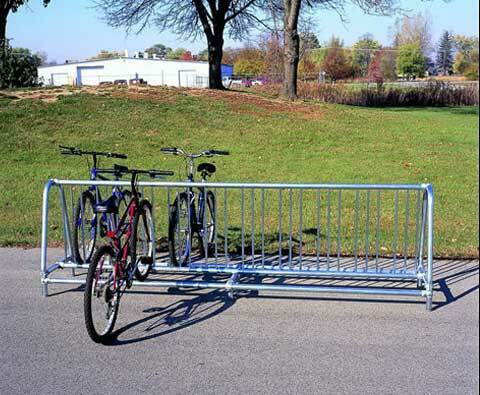 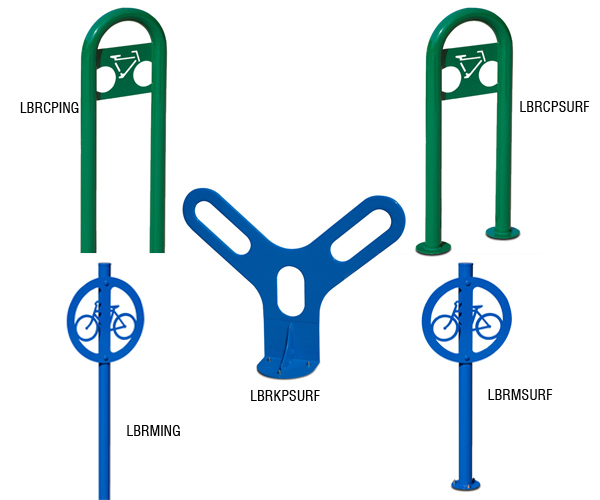 Makes a neat appearing parking area for the increasing bicycle set. 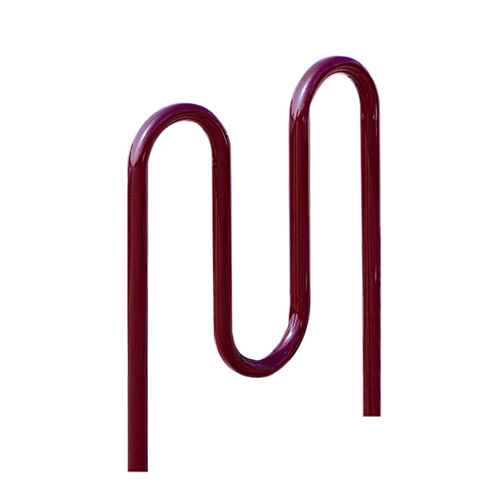 This exclusive design by Kay Park is made of 1 1/6 inch O.D. 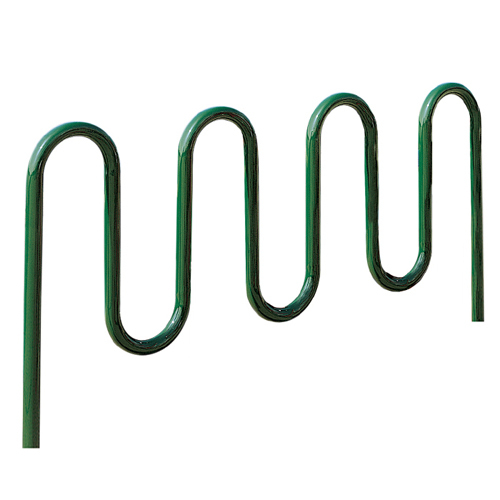 galvanized tube. 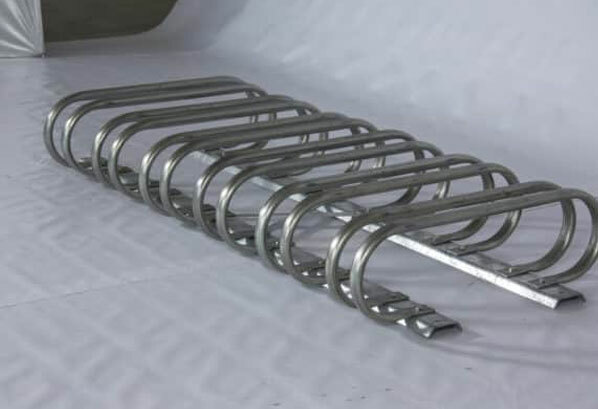 Requires assembly, and shipped convenientlyas ‘knocked down’, tubes are bolted (with X-braces) to galvanized channel runners. 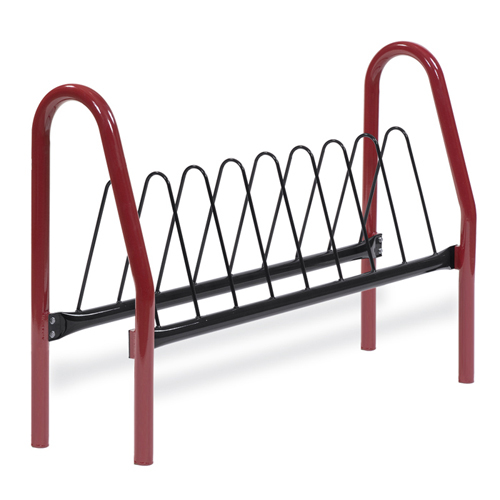 These very popular, economical, maintenance-free and store conveniently in little space. 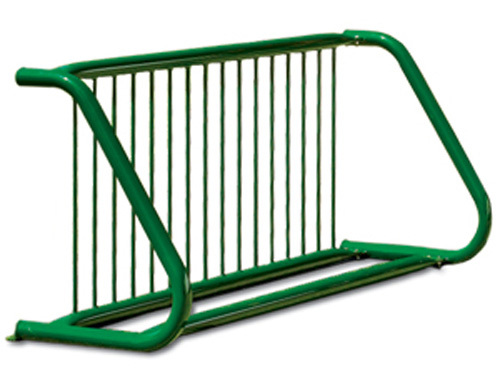 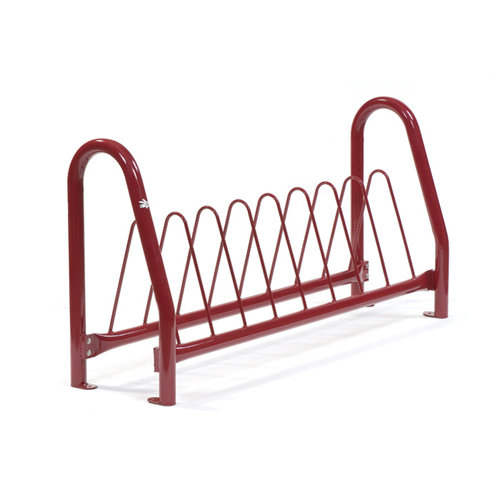 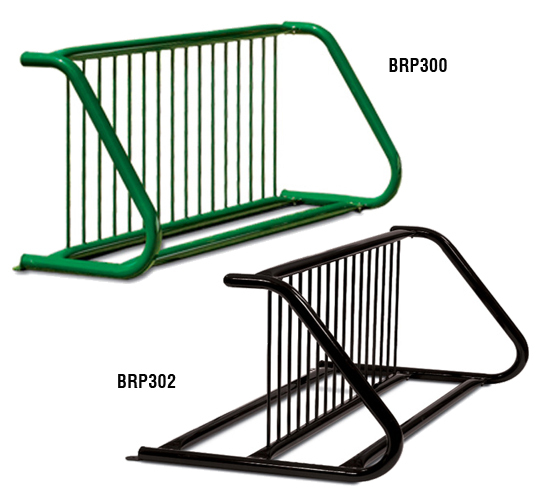 Bike racks 4052 and 4102 are normally sold as portable. 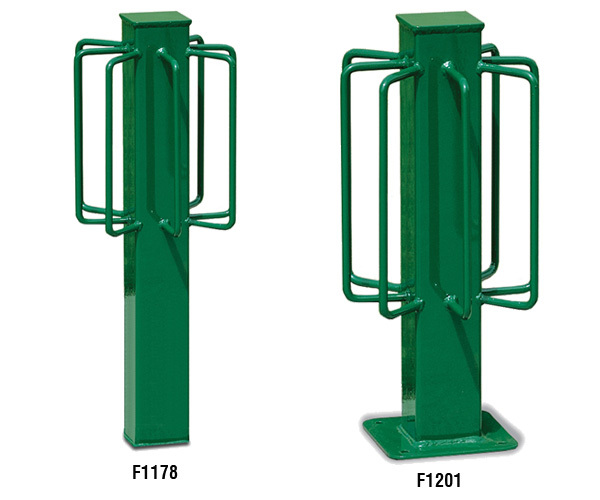 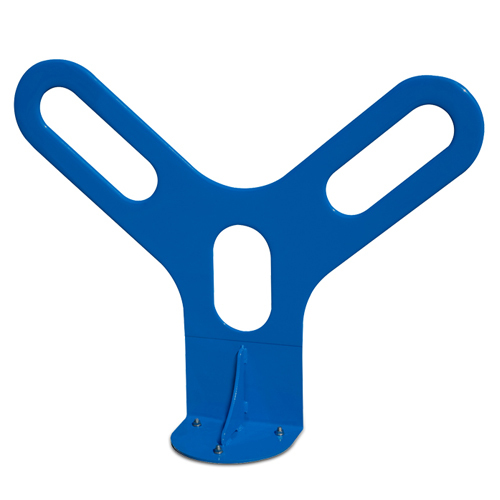 However anchor bolt sets are sold separately to mount as stationary.